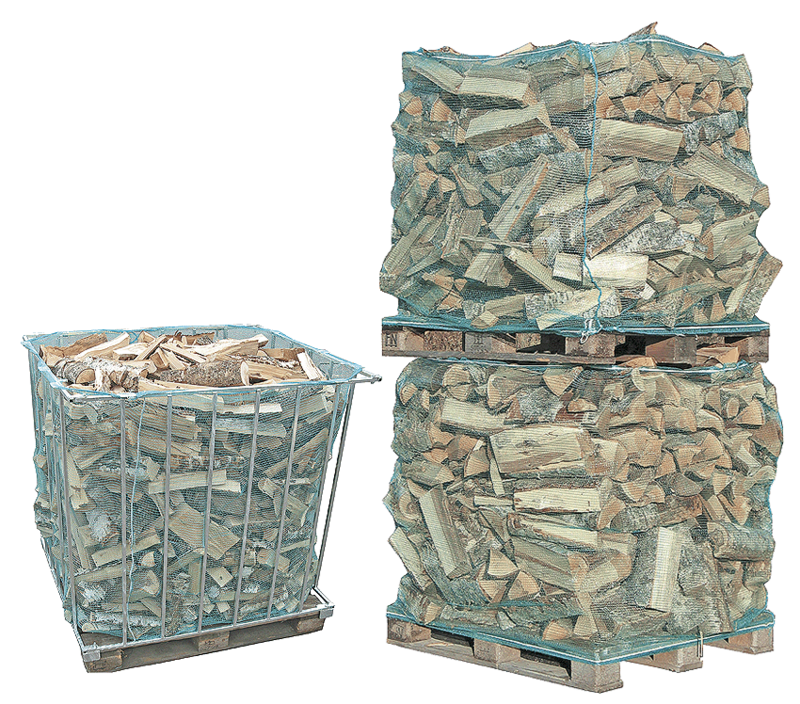 Hakmet offers a bagging solution for storing, transporting and selling firewood. There are two packing options avasilable. One for small bags the Packer 35 and one for large bags the Motti. The bags are made of UV-protected polyprophelene. They can be reused several times and disposed by burning. The large Palax Motti packing stand is ideal for bulk firewood. Just place the frame on a pallet, insert the bag, fill the bag and remove the frame. Two pallets can be stacked.You can use the standard pallet 40"x48" or the europallet 31.5"x47.25" with the frame. With the standard pallet the volume is around 1.3 cubic meters / 46 cubic feet. The frame itself is galvanized.